Does what a president reads give insight into how he might lead? Danny Heitman, a columnist for The Baton Rouge Advocate, thinks so. He points to the historical examples including President John Adams. "His reading of the classics and of Greek and Roman political commentators really shaped how he went about forming his presidency," Heitman told Here & Now's Robin Young. "...there is a lot to be said for seeing a president getting off of Air Force One and have a book under his arm." 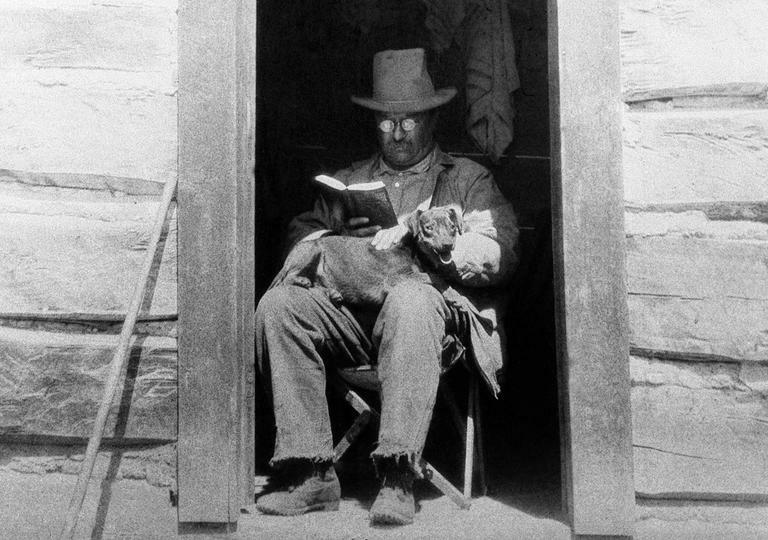 Heitman also points to President John F. Kennedy, who read Barbara Tuchman's "The Guns of August" prior to the Cuban Missile crisis, and President Theodore Roosevelt, whose love of the wilderness could draw its roots from the fact that he read John James Audubon as a child. Heitman also has suggestions for the presidential reading list: Poetry, since a president has a limited time to read for pleasure. Novels, because they "can help cultivate a sense of empathy, which is something that you certainly want in a president." And finally, presidential histories, because "it is useful to read how other presidents perform their duties." Historically, literacy initiatives have been advanced by First Ladies, not by presidents. "We had Barbara Bush, who was a big pro-literacy advocate, also the later Mrs. Bush [was a librarian]," Heitman said. Ideally, the president would also play a role in encouraging reading, Heitman said. “If we want to be a reading nation and we want to encourage reading among children and grown-ups alike, there is a lot to be said for seeing a president getting off of Air Force One and have a book under his arm,” Heitman said. Christian Science Monitor: It's almost Nov. 6. Do you know what books Obama and Romney have been reading? Danny Heitman, columnist for The Baton Rouge Advocate. He tweets @DannyHeitman. This segment aired on November 6, 2012.